There are no comments for Fresh Prince. Click here to post the first comment. 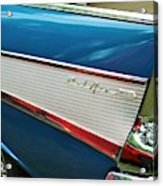 This is a tail fin of a 1957 Chevy Bel Air. The '57 Chevy is recognized as an American auto icon. 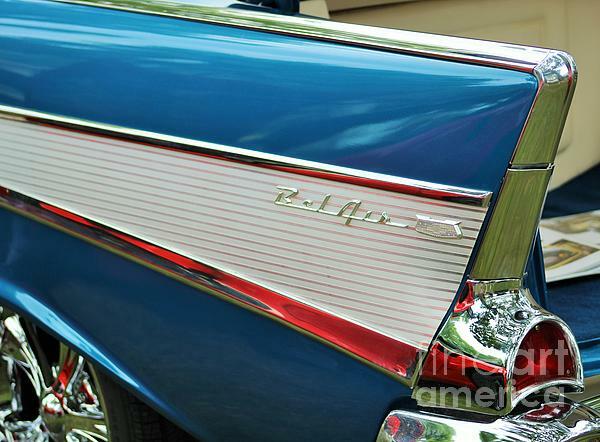 When introduced by Chevrolet in 1956, a new Bel Air would cost $2511. to $2757. 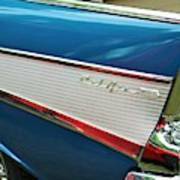 The Bel Air is also an iconic movie car and can be seen in movies such as "Gone in Sixty Seconds'' and ''Mad Max''. It has also been recreated in various toy forms. 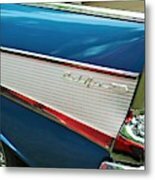 There was a Beautiful Red Mustang parked next to this car when the photo was taken, which is being reflected in the chrome giving the red color.